On second thought I shouldn't have been surprised because this group, two females and one male, had been watching and cheering for the Pro Bowl all night. (Did they think the Pro Bowl was the championship game in football?....no...they couldn't have....right?) 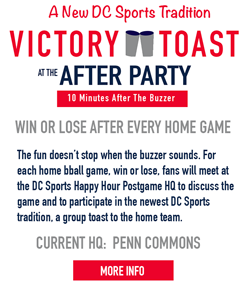 In fact when the Wizards game came on at 8pm and the bar put the Wizards audio on the loudspeakers (at a sports bar in Washington DC only a few blocks from Verizon Center, home of the Washington Wizards), the 3 Pro Bowl fans complained and forced them to put the Pro Bowl audio back on. It was great to hear the coin toss at full volume while Rasuel Butler was hitting a 3 pointer. Who doesn't love a good coin toss! Oh wait! I know 3 people who don't! When one hears someone cheering for the most meaningless game in all of sports, one takes a curious interest. What are the motivating factors? Do they have friends or family on the team? Did they go to college with one of the guys? Are they just really super fans of a particular team/player? (I watched 0 seconds of Alfred Morris). Pro bowl girls are cheering for BOTH teams, just screamed "aww man!" at missed extra point, is this a prank? Well after observing the strange creatures for several minutes an even crazier impetus was discovered. These people weren't cheering for specific players, not even a specific Pro Bowl team (which also wouldn't make sense but would make more sense). They were cheering for...FOOTBALL!!!! Is cheering for 'football' better than cheering for 'Team Irvin'? I know both are wrong answers but I couldn't decide if they were the worst or just an iota below the worst. These people actually thought they were watching football. Just good football all around. Both sides are playing hard. Both sides are winners! All the players are winners! What a great lead up to the Super Bowl! AHHHHHHHH!!!! So where were you the magical night where we discovered the three people who actually really really really enjoy the Pro Bowl? 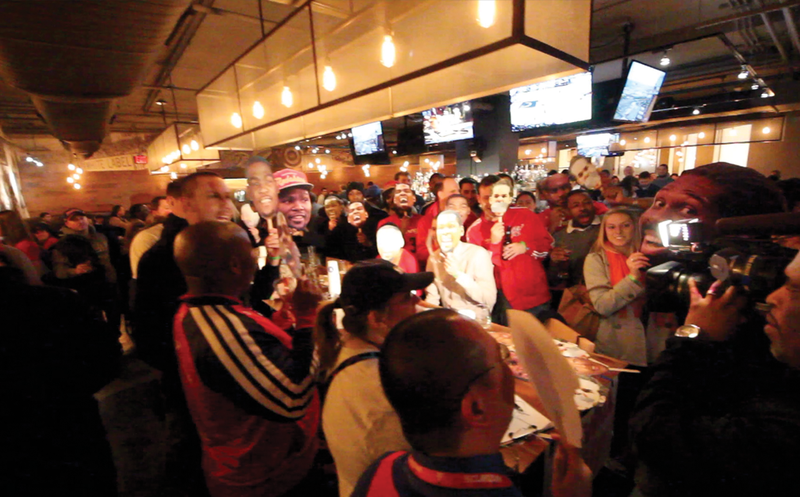 You could have been at Wiz Happy Hour being a part of history. Hope you can make it next time!